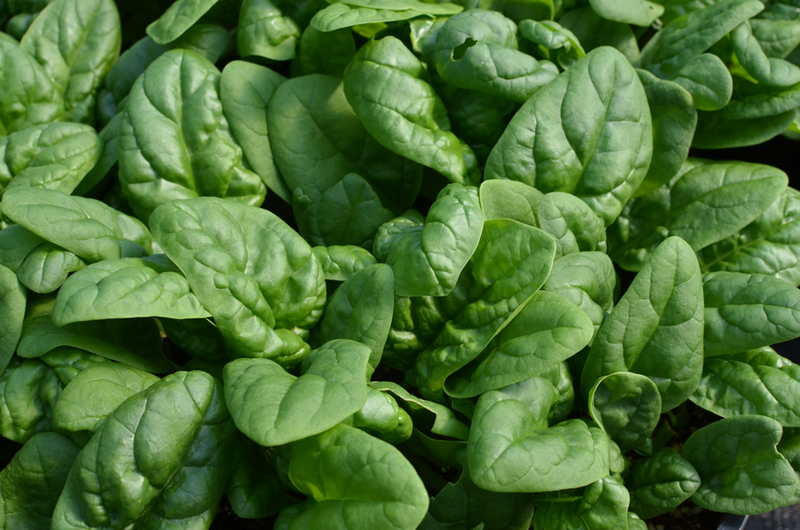 Spinach was first cultivated in Persia several thousands of years ago. It was brought to Europe by the Moors when they invaded Spain and presented to China as a gift from the King of Nepal in the seventh century. Today, California is a leading producer of spinach, growing about half of the fresh and processed supply. 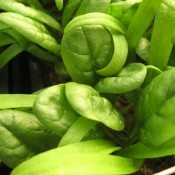 Spinach is a cool weather annual and it thrives in the early spring and autumn. Heat and long days that run 14 to 15 hours cause the plants to bolt or suddenly send up a single stalk that goes to seed. It likes a fertile, well-drained soil with a good supply of nitrogen and a soil of pH of about 6.5. Spinach usually grows trouble free. To discourage mold, do not water in the late afternoon or evening and maximize air circulation. Spinach is a great companion to Brassicas(i.e. broccoli, cauliflower, kale, etc. ), eggplants, leeks, lettuce, peas, radish, and strawberries. It is not advised to plant spinach with potatoes. Spinach is an excellent source of vitamin C if eaten raw, as well as vitamins A and B, folic acid, calcium, potassium, thiamine, riboflavin and iron. Don’t pick until there are at least 6 large leaves first on the plant; harvest outer leaves first, leaving the inner ones to grow on. Do not pull up the whole plant. You should get several picks. After this stage, up to half of the leaves can be harvested at a time. Refrigerated, spinach will keep in plastic bags for two or three days. Spinach freezes well, so when you have plenty in the garden freeze it for later. Remove stems and tear the leaves into ribbons. Blanch for two minutes, plunge into ice-cold water, and squeeze with your hands or twist in a clean towel to get it really dry before freezing in batches. Cooked spinach reduces in volume by about three quarters.